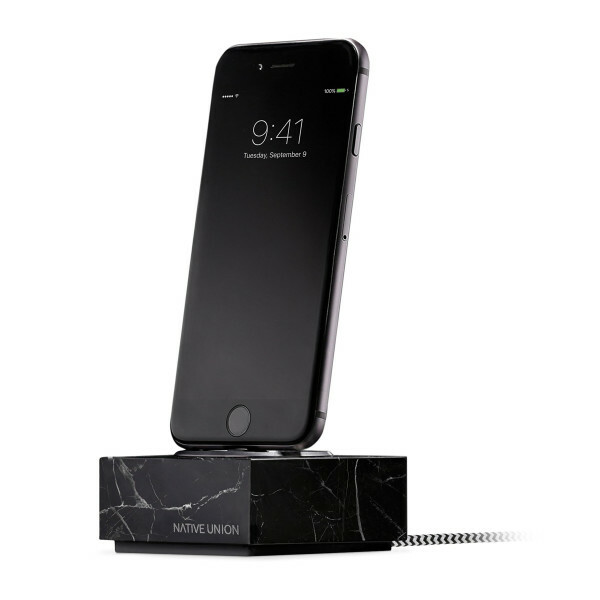 Charging dock for apple lighting devices, made from genuine marble. Features a disk of aircraft grade aluminum to provide support when navigating the screen and elevates devices for optimum viewing. Includes four-foot MFi Certified Lightning cable.